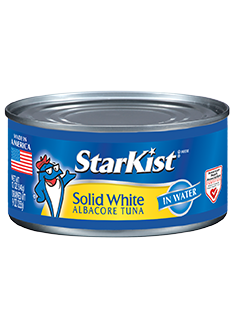 Solid White Albacore Tuna in Water (12 & 5 oz. Can) uses only choice cuts of tuna to give you an outstanding taste experience. Each can contains a solid fillet of delicious albacore tuna that is naturally lower in fat and cholesterol than beef or chicken. Solid White Albacore Tuna in Water 5 oz. Solid White Albacore Tuna in Water 12 oz.